The Snack Booster is a high-back style booster seat that secures easily to dining chairs and offers all the mealtime convenience of a highchair. The Snack is equipped with a comfortable, cushioned backrest, as well as a large, snap-on tray with one-hand removal. And a 5-point, padded harness provides a secure fit. A machine-washable seat pad and lift-off tray liner make cleanup a breeze. Rubberized, pop-out feet also help protect chairs; while a strapping system secures the booster to the chair. Child must be able to sit up on their own, around six months. Do not use for a child weighing more than 50 lbs. Use only on full-sized dining room chairs at least 15” wide, 15 ¾” deep and with a backrest at least 12” high. Refer to the care label for instructions on cleaning the fabric parts of the product. Spot clean the seat pad with a damp cloth and mild detergent or machine wash it separately in cold water on the delicate cycle and allow to drip dry. Do not use bleach, spray, or wipes on the pad or plastic parts. To clean plastic parts, periodically wipe with a soft damp cloth. Always dry the metal parts to prevent the formation of rust if the product has come into contact with water. 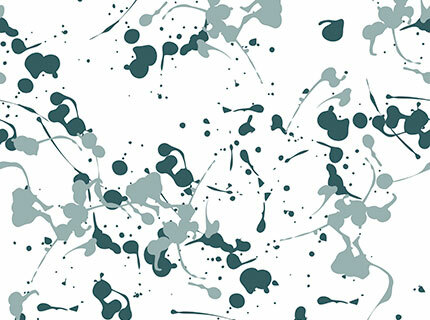 Inspired by free-form playfulness, the Paint fashion is a delightful splatter-pattern of balsam green and minty green on a soft white palette of washable fabric. Assembled Product Dimensions: 19" x 23" x 22"
Carton Dimensions: 18.9" x 22.8" x 11.25"
Snack Booster Seat - Paint is rated 5.0 out of 5 by 10. Rated 5 out of 5 by NaturesWayN from Thoughtfully Designed & Practical! Installation of this seat is simple and secure. It operates well as both a highchair and pulled up to the table as the arms fit under it perfectly. The removable tray top has a lip that overlaps the edge significantly and greatly reduces the amount of clean up on the actual chair. I also appreciate that the tray does not need to slide on but can snap down from the top and be removed just as easily. We've yet to have any significant messes on the fabric part of the chair, but have found it to repel stains so far. I also like the option of using the straps as five point or three. The only thing I would prefer was different is that the bump that goes between the child's legs be attached to the chair as opposed to the tray. It would feel safer while getting my daughter strapped in and make it so the tray when removed could lay flat on the counter. Overall, I am thrilled with this chair and know we will get a lot of use out it! Chicco provided this product to me in exchange for my honest opinion. Rated 5 out of 5 by jkbroadb from Just what we needed We are in love with our new snack booster seat. It conveniently attaches to our kitchen chairs which allows our daughter to sit at the table with the family or sit off to the side with an easy clean tray for messier meals. The tray attaches seamlessly with one hand and has a removable cover for added convenience. The straps attach in both directions (front to back and side to side) and has rubber feet on the bottom so I know it’s nice and secure. With our other two children we used a dedicated high chair but the snack booster seat is so convenient we find ourselves using it all the time instead. Chicco provided this product to me in exchange for my honest opinion. Rated 5 out of 5 by Liz S from Perfect size and cute look! My 6 month old really loves the snack booster seat. It’s the perfect size and fits in right with our decor. The 5 point harness secures the baby perfectly and the easy wipe off lid is a great feature. Easy to clean! I would highly recommend this product for travel as well as it is light and small. Chicco provided this product to me in exchange for my honest opinion. Rated 5 out of 5 by Daddy003 from Easy to travel with! We love this seat. We use it at the table regularly and like that it can be used on its own with the tray, or we can tuck our kids up to the table and have them sit with us. It is so easy to attach to a chair. It makes it easy to travel with and set up at Grandma’s house! Rated 5 out of 5 by smlloyd15 from Easy to clean, comfortable and cute! Chicco fulfilled my every need with this snack booster seat!! My 18 month old is still playing around with using utensils so the removable tray and easy clean up was a must! Beyond that the padded harness is comfortable and secure. The seat attaches easily to any dining chair. My favorite part is that this seat is actually aesthetically pleasing. The paint pattern is adorable and very neutral. LOVE this seat! Chicco provided this product to me in exchange for my honest opinion. Rated 5 out of 5 by GirlMom22 from Love this booster seat! I recently received this booster seat for my 15 month old. I love the harness feature for safety, my daughter is very wiggly. The fabric is so easy to clean and very comfortable. One thing I’ve never seen before is the detachable tray. I love that I can take the tray off and wash it in my sink. This seat is high quality, I very much recommend. Rated 5 out of 5 by Davis125 from Compact and great fit! I love the look and feel of the fabric. It is extremely easy to wipe off food, even mushed carrots. The chair itself is simple and easy to put together. I love the clear tray cover as it makes for quick and easy clean up. The seat fits perfectly in our dining room chair too. Our baby girl sits nice and straight up. She seems to like it as well. Chicco provided this to me in exchange for my honest opinion. Rated 5 out of 5 by nzone1018 from Great Fit! We bought this and have used multiple times throughout the day. The back pad is very comfy and the snap on tray is easy to use and maneuver. The removable tray liner allows for easy clean up. Can the seat straps be removed for cleaning?